Kim Beaudin stood with a protest sign Tuesday morning outside a meeting between premiers, the prime minister and Indigenous leaders in the Diefenbaker building, named after the prime minister that wiped out the Michel band. 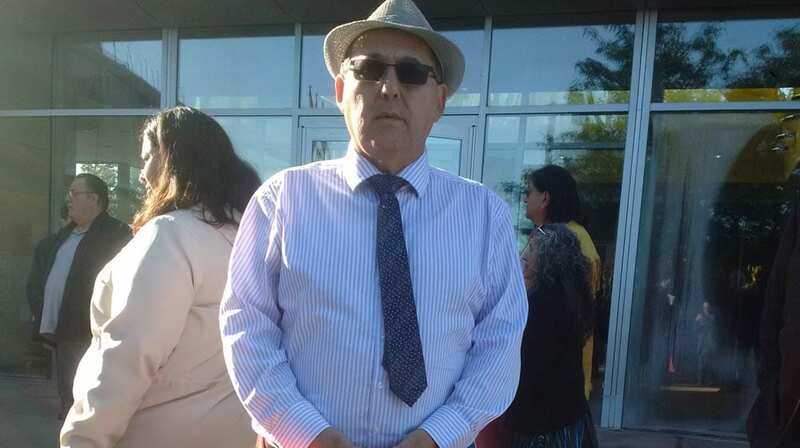 Beaudin said the name John Diefenbaker conjures up a dark chapter in his family and peoples’ history when the Canadian government, with a stroke of a pen, enfranchised – took away the Indian status—the people of the Michel band. 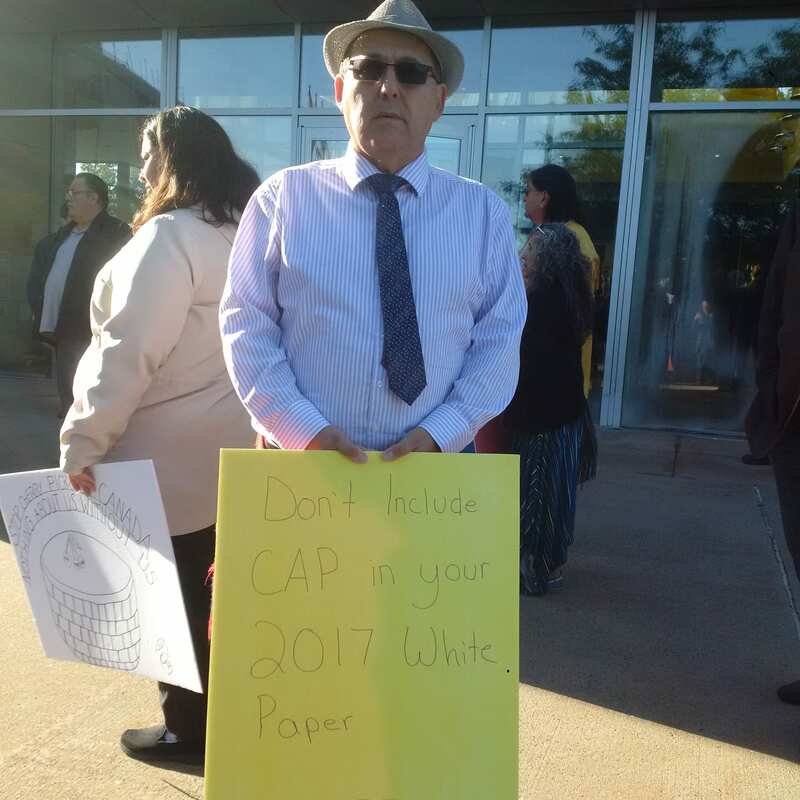 Beaudin was among a handful of demonstrators and supporters of CAP who were protesting the organization’s exclusion from a meeting between Indigenous leaders, Prime Minister Justin Trudeau and the premiers. 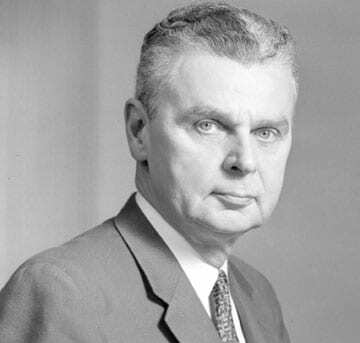 The meeting was held in a building that once housed Ottawa’s city hall that is now a federal government building named after Diefenbaker. In March 1958, the Diefenbaker government enfranchised all members of the Michel band, who were part of Treaty 6. It was the only case of a band being enfranchised involuntarily under a section of federal law that was repealed two years later. All enfranchisement provisions were repealed in 1985. Beaudin said for most of the first half of the 1900s the Canadian government was pressuring the Michel band to give up its land because of its potential resource bounty. Some members of the band voluntarily enfranchised in 1929. The Michel band, known as Michel Reserve 132, sat about 40 kilometres northwest of Edmonton. 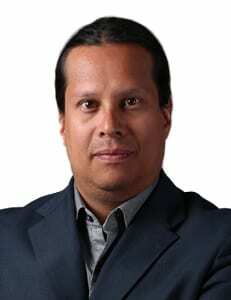 Beaudin said the people of Michel have continued to fight for recognition as a band as defined by the Indian Act. Over the years they faced a federal government that at times argued in court they didn’t exist, he said.